Having already tried playing God with people's weddings, child-rearing, and opinions on whether they can dance, Fox is setting its sights even higher with its latest reality show. 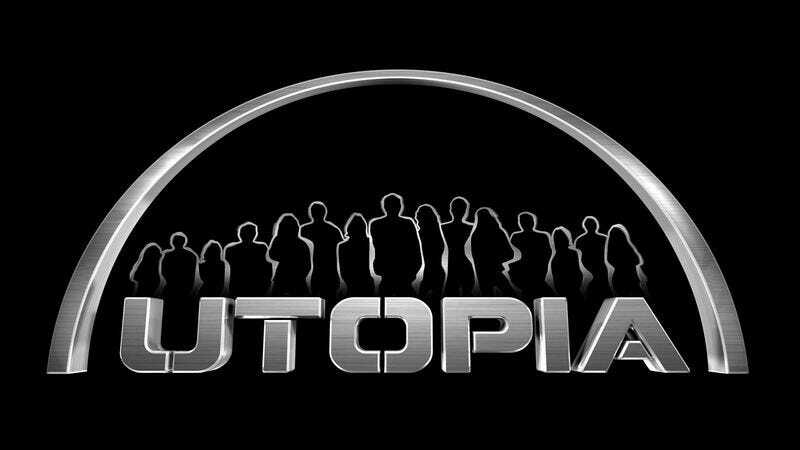 Utopia will strand contestants in a remote setting for an entire year, with their objective no less than creating an entire civilization from scratch. It's an ambitious social experiment, reminiscent of the utopian community boom of the 19th century, but tempered by the steady, responsible guiding hand of the network that brought you The Littlest Groom and Who Wants To Marry A Multi-Millionaire? Indeed, Fox calls the show "the largest, most ambitious social experiment on television… It addresses fascinating and fundamental questions about human law, morality and social structures…" And since it's on Fox, we can assume that the answers to those fundamental questions will be yelled at someone by Gordon Ramsay. Despite the network's shaky track record with grand social experiments, the idea already proved successful once on Danish TV, where the show is being imported from. And Fox is committing by giving the show a full series order, leaving the door open to look in on the fledgeling society more than once a week in prime time, and broadcasting their daily lives 24/7 over the web. If the show works, it could be Survivor with a very long endgame, and if it doesn't, a grown-up version of Kid Nation. Either could be interesting.